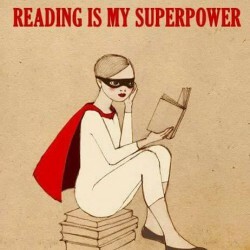 I continue to have serious problems with this book. I don't know whether Kristin Downey is a historian, or whether she wrote this book from a "popular history/biography" perspective. Though the narrative surrounding Isabella's life events are fairly sound, Downey's treatment of the Inquisition, the slave trade, and Spanish colonialism is strikingly tonedeaf. In fact, I had to skip much of the chapter on the late Inquisition because of Downey's attempts to rehabilitate Isabella's character. By justifying Isabella's behavior (which, just to be clear, constituted genocide and religious persecution), Downey says that the forced conversions, the expulsions, and the burnings of thousands of Muslim and Jewish Spaniards was "something Isabella believed was necessary for her people." Well, yes, Kristen Downey, but that's the problem. I doubt Isabella of Spain was a random sociopath who enjoyed mass murder. She and her contemporaries did think that they were somehow glorifying their own religion by persecuting others. THAT IS THE PROBLEM. The fact that Isabella likely fervently believed that the Inquisition was good or necessary for Spain is tangential, if not immaterial. I understand the concept of humanizing a person responsible for such actions, but that's not what Downey does. She blunts and understates the nature of the Inquisition, saying that burning human beings alive was "intense treatment." Really? Word choice? At the same time, she repeatedly barrages the reader with numerous accounts of how "similarly violent" Ottoman and Moorish forces were in religious conversions. We get it. No one group of people held the monopoly on cruelty. But, for god's sake, when discussing The Inquisition, it is more than crass to insist on saying, "But, wait, the Spaniards weren't so bad because the Moors would enslave people! Monstrously! Listen to all the monstrous things they did!" Don't try to distract me, please. It's insulting. I am pretty outraged at this handling. By Downey's logic, any fascist or authoritarian leader's actions become blunted by the concept that they "believed in what they were doing," as if that makes it better. What would Downey say about Stalin and Mao, I wonder? I read this for a greater understanding of the dynastic world of Castile, Aragon, Portugal, and the Holy Roman Empire. It was satisfactory on that account, particularly in setting up Isabella's heritage and parentage. And the biography does give a good account of some of Isabella's children's lives, including the ill-fated Juan and his wife Margaret. But Downey's treatment of The Inquisition is fatal. 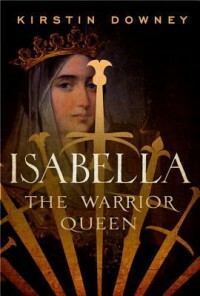 Because The Inquisition is such a large part of Isabella of Castile's biography, it understandably takes up a large portion of any biography on the queen. Thus, here, the tonedeaf handling of The Inquisition pulls the rest of the book down. I won't be able to give this more than 2 stars.